Last week, while visiting the campus of the University of California, Berkeley, for a kick-off meeting for a new project, we visited the Department of Nuclear Engineering. Nuclear Engineering is housed in Etcheverry Hall, clearly named after a Basque. It turns out that Bernard A. Etcheverry was a professor of irrigation and drainage during 1915-1951. So, he himself had nothing to do with nuclear engineering, though the building did house a research reactor from about 1966 to 1987. There are Basque connections everywhere. Seeing Etcheverry’s name on that building reminded me of the Lemoniz Nuclear Reactor. 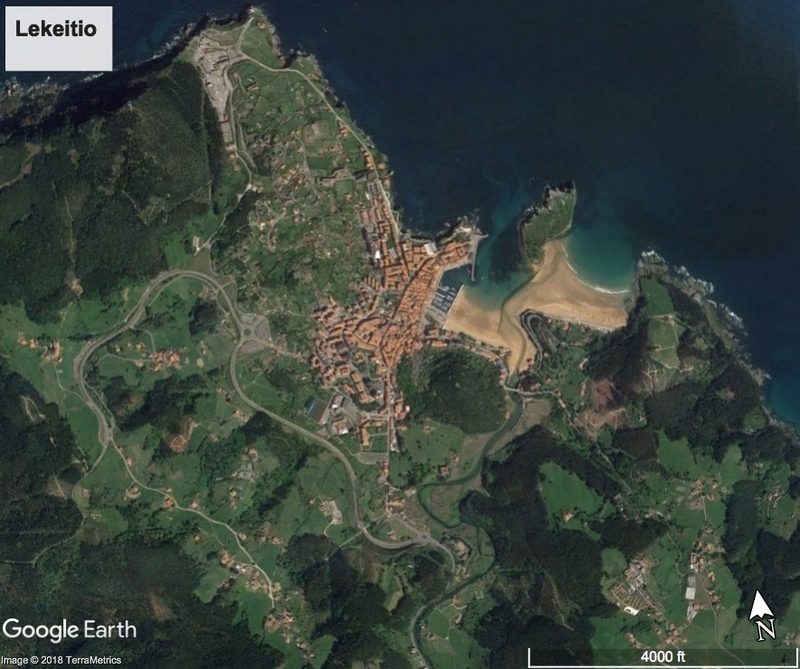 Did you know there was a nuclear reactor built in the Basque Country, not too far from the now world-famous San Juan de Gaztelugatxe, where Game of Thrones has filmed? During a visit to the Basque Country a few years ago (back in 2014), I dragged my family to see the site. I am pro-nuclear energy, as, in my view, it is one of the few proven CO2-free energy sources and one of the most critical ways for us to reduce green house emissions and counter climate change. My research is focused on understanding the fundamental interactions between radiation in reactors and materials, with the goal of ultimately designing materials that make reactors and nuclear energy both safer and more efficient. In any case, as I was saying, during a drive along the Bizkaian coast, I asked my family if they would mind going a little out of the way to see the reactor site. 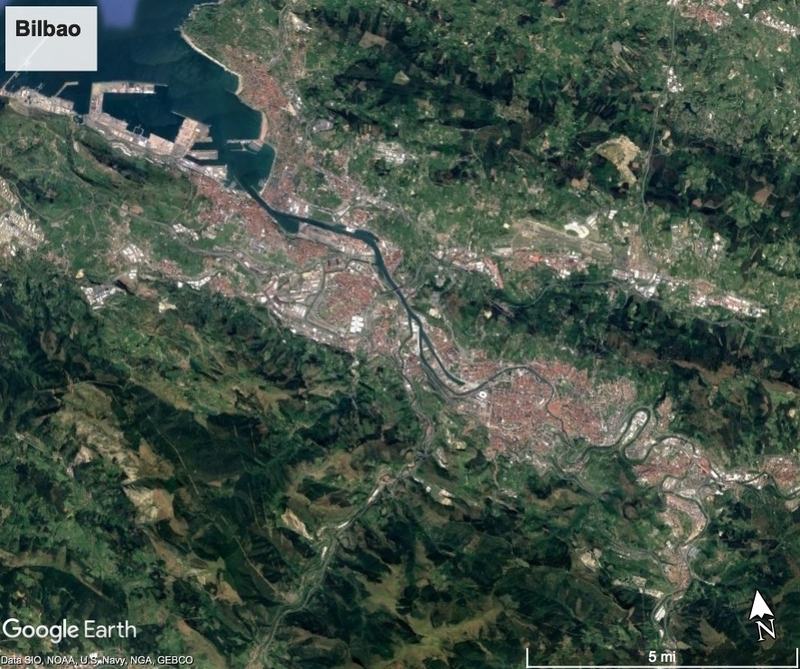 It is on the coast of the Basque Country, only about 30 kilometers from the heart of Bilbao. Construction on the Lemoniz Nuclear Power Plant began in the 1970s but was officially cancelled in 1983. It was the subject of heavy anti-nuclear protest and attacks by ETA, which resulted in at least 5 deaths. 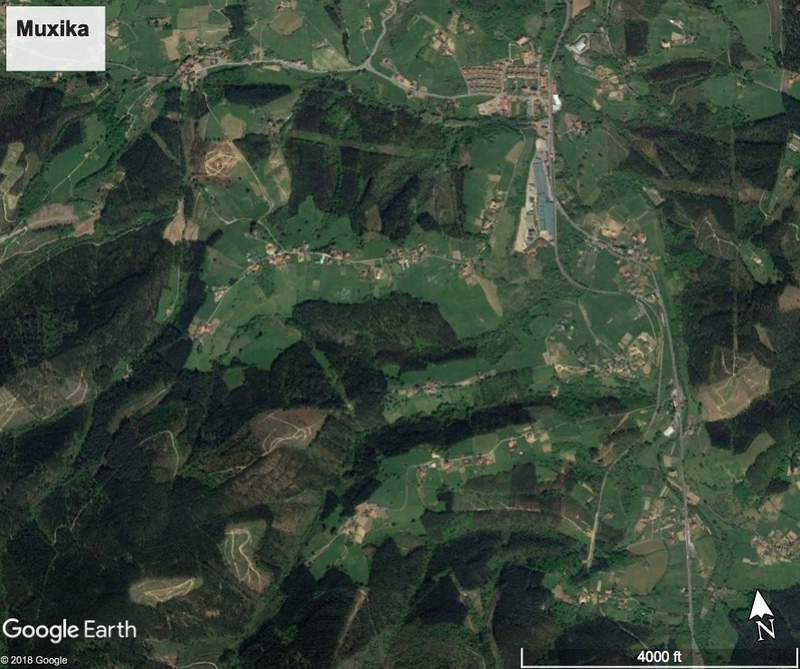 One of these involved the kidnapping and later execution of the lead engineer on the project, which resulted in the first anti-ETA demonstrations in the Basque Country. Today, the site sits more or less abandoned, but still protected by a large fence. We could only see the site through the fence and from above, from an overlook. When we pulled up to the front gate to get as close of a look as I could, a security guy drove up, wondering what we were doing there. I was nervous for a moment, as I clearly didn’t belong there, but he only asked what I was doing and didn’t really stop me. I snapped a few pictures and then left. Regardless of one’s views on nuclear energy, it seems to me a big waste to let this site just sit there. These massive reactor buildings are now collecting moss and show other signs of decay. You can tell from the pictures that the site has been overgrown with plants. It seems that they could make a great night club or concert venue. The reactors were never operated, so I don’t expect there is any issue with radioactivity. Why not use the site for something interesting? It isn’t being used for anything. Wouldn’t it make for a cool science museum?